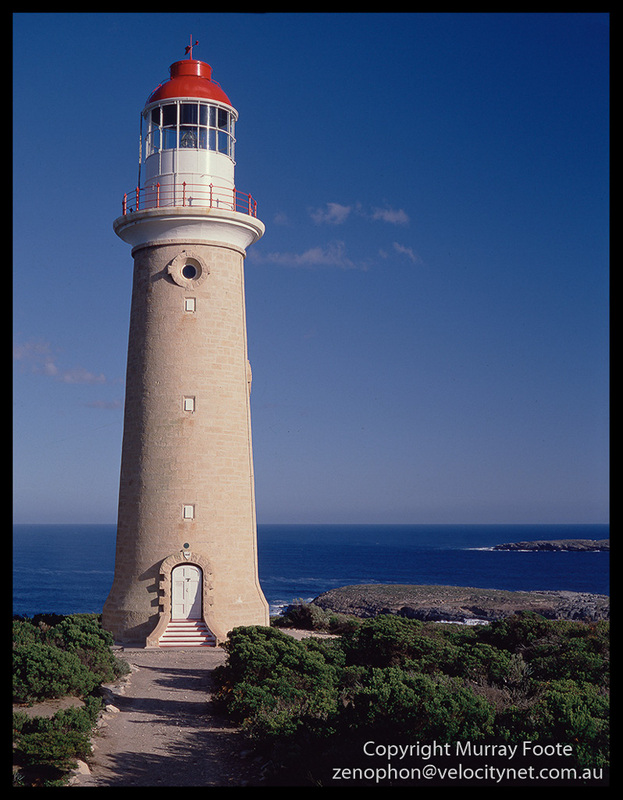 Cape du Coedic is a memorable lightstation on the wild south west tip of Kangaroo Island, now in the middle of a national park. I passed by on 16 May 1987. Originally the only access to the lighthouse was from a zig-zag path cut into the cliff. Later and for many years, the way in and out was by flying fox (or ropeway) from a jetty to the top of the cliff. This is the ruins of the storeroom on the edge of the cliff at the top of the ropeway. The far partition had three compartments for stores for each of the three keepers. The near partition had two compartments for general lighthouse stores. In the early days there could be many months between delivery of provisions. It was not until 1940 that there was a road connection. The lighthouse is 25 meters high and is 100 metres above the sea. It was built in 1909 and was very isolated for many years. 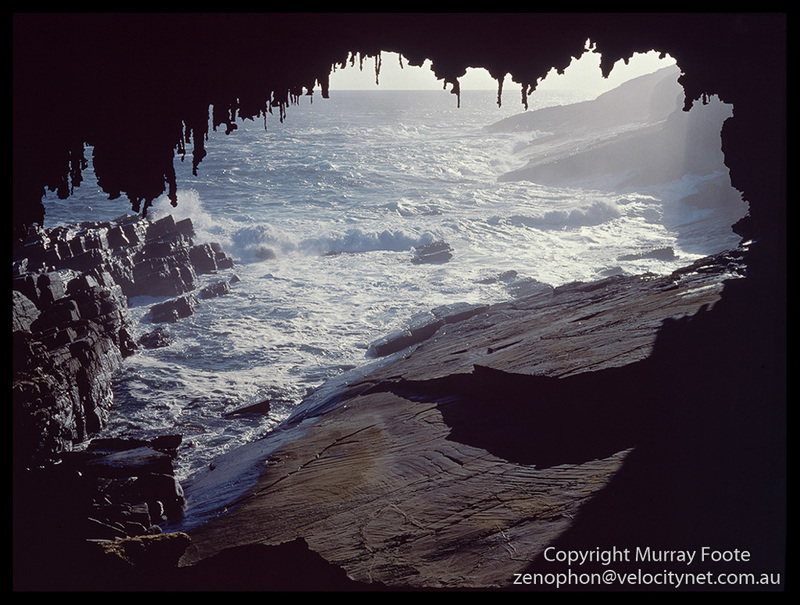 South of the lighthouse are two islands and an underwater reef extending 35 to 40 kilometres. In the years before the lighthouse was built, fourteen ships went down with the loss of nearly 80 lives from just three of them. Cathedral Cove is close to the lighthouse and access is by a tunnel, which I am shooting through. 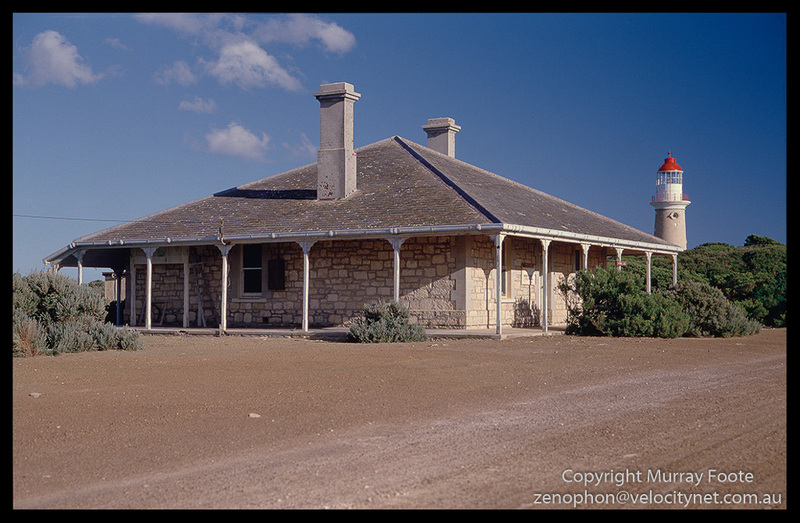 This entry was posted in Australia, From Dusk Till Dawn and tagged Architecture, Australia, Cape du Couedic, History, Kangaroo Island, Landscape, Lighthouses, Photography, seascape, South Australia, Travel.